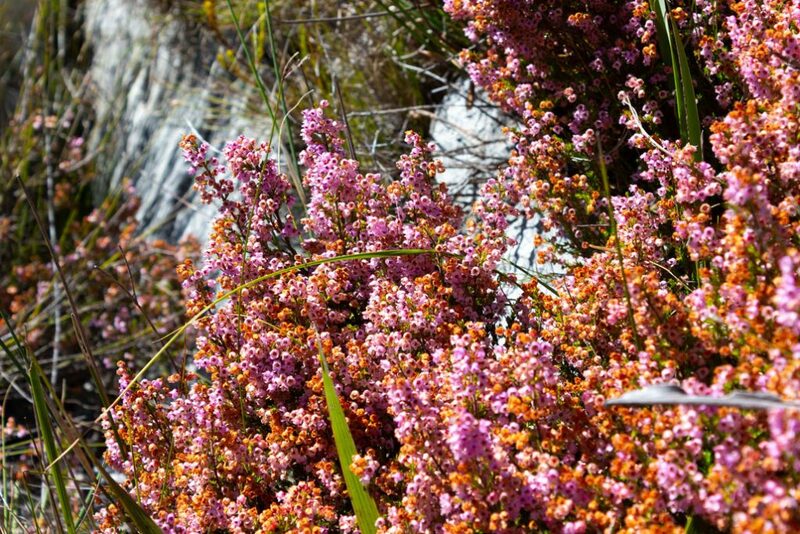 Jonkershoek Nature Reserve is a hiker’s paradise, with many trail options, including the ever popular Tweede Waterval walk. 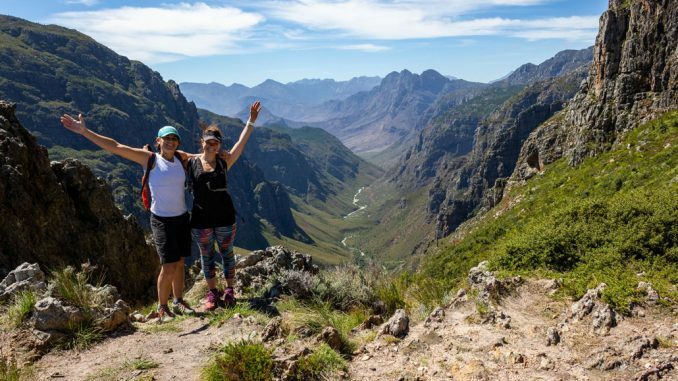 However, the crown jewel is without a doubt the Panorama Circuit which truly lives up to its name with jaw dropping views around every corner and a brilliantly laid out and varied trail. 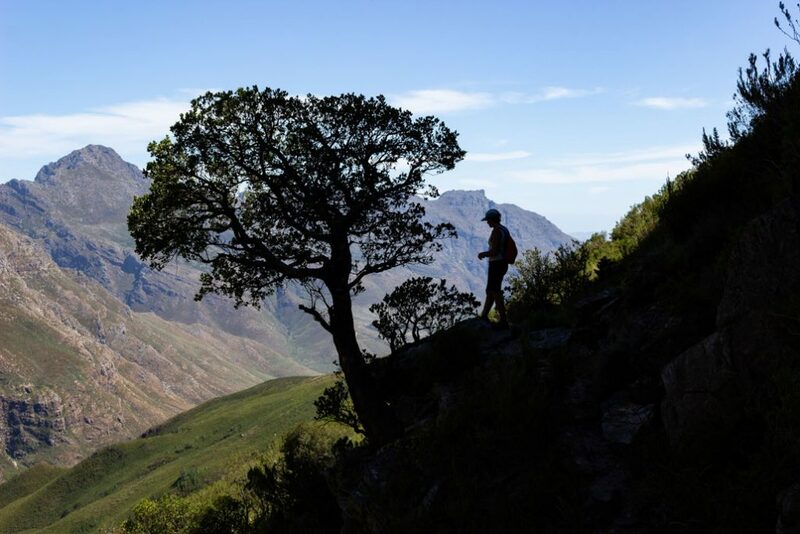 Technical Rating: On-trail walking with steep ascents and descents and some loose, rough terrain underfoot. The circuit can be done in either direction, starting and ending at the hairpin bend of the circular drive through the valley. We found it easier going up to Kurktrekkernek as opposed to heading for Bergriviernek first. 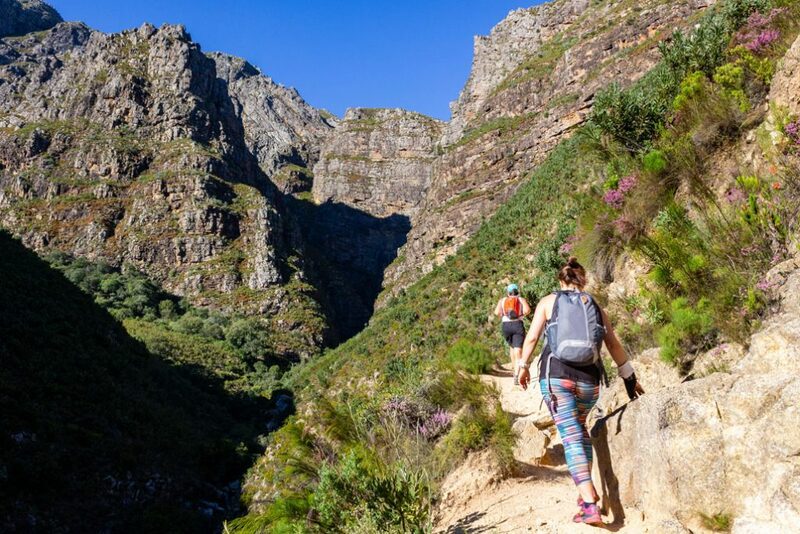 The route starts as for the Tweede Waterval walk, gently rising and falling along the Eerste River until finally ascending steeply to the turn off for Tweede Waterval. 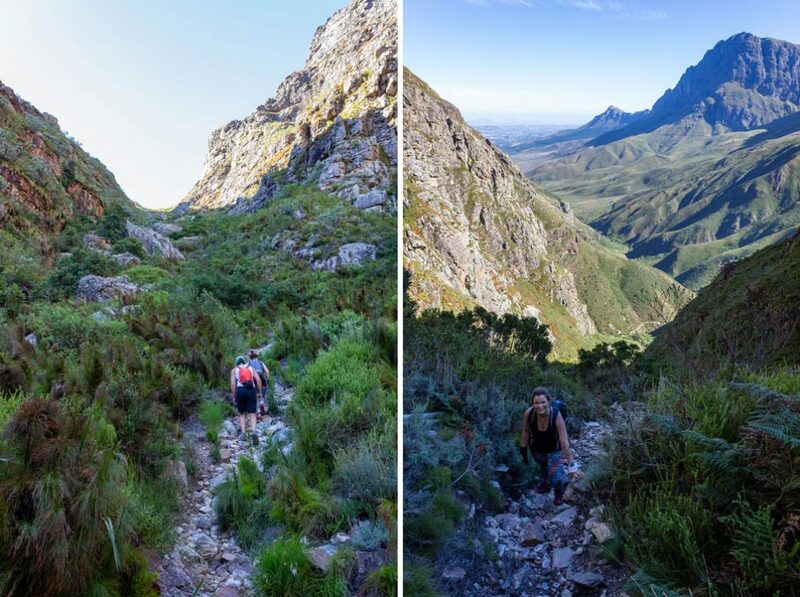 Shortly before Tweede Waterval, the trail turns left and heads up the steep, unrelenting hill to Kurktrekkernek (Corkscrew Neck). This section is quite badly eroded in places, so be aware of loose rocks. 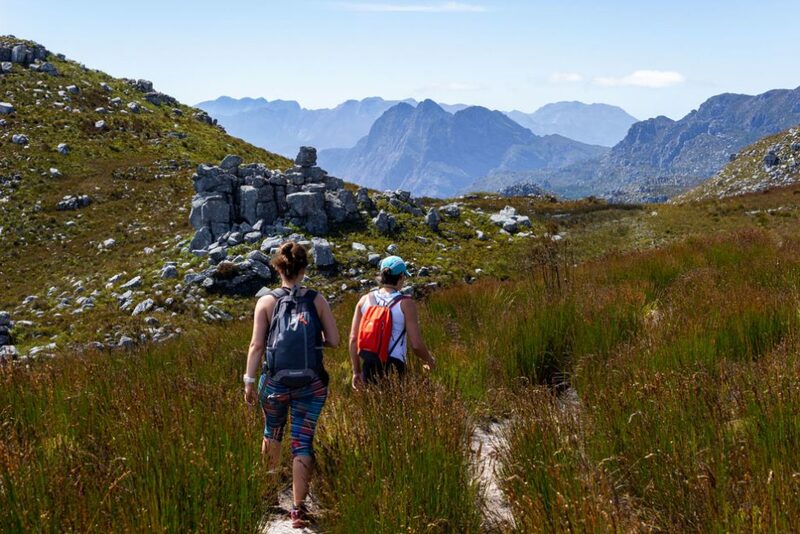 Remember to look behind you – the views of the Jonkershoek valley just get better and better as you quickly gain height up this steep hill. At the top a few trails intersect – turn left to continue on the Panorama Circuit. 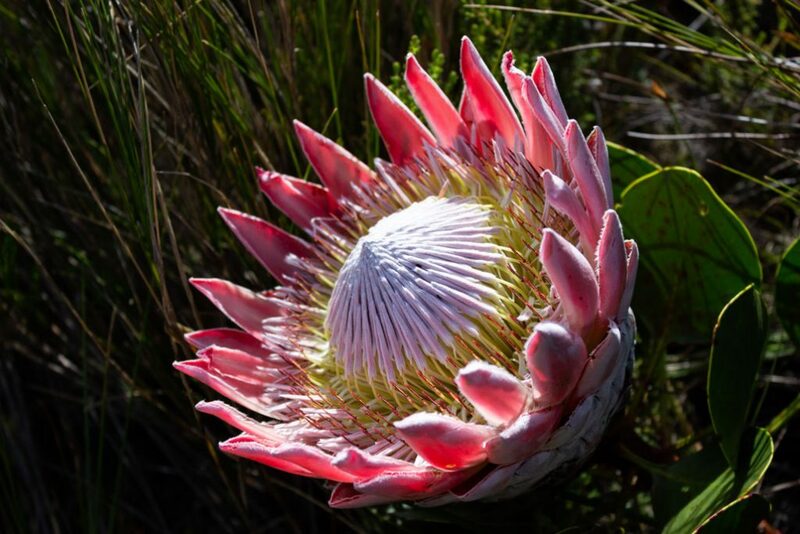 From here the trail continues up, winding its way through rocky outcrops, passing colourful sections of Erica and magnificent King Protea. 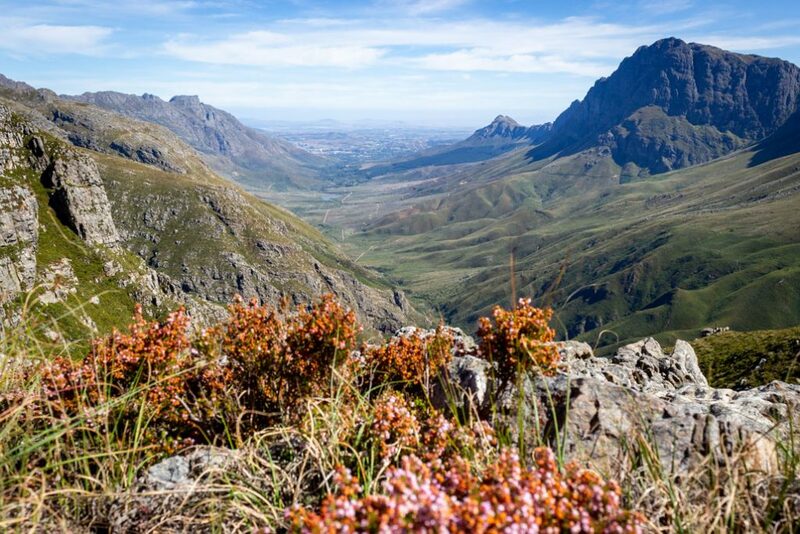 The trail levels out over Dwarsberg Plateau with its marshes and streams. 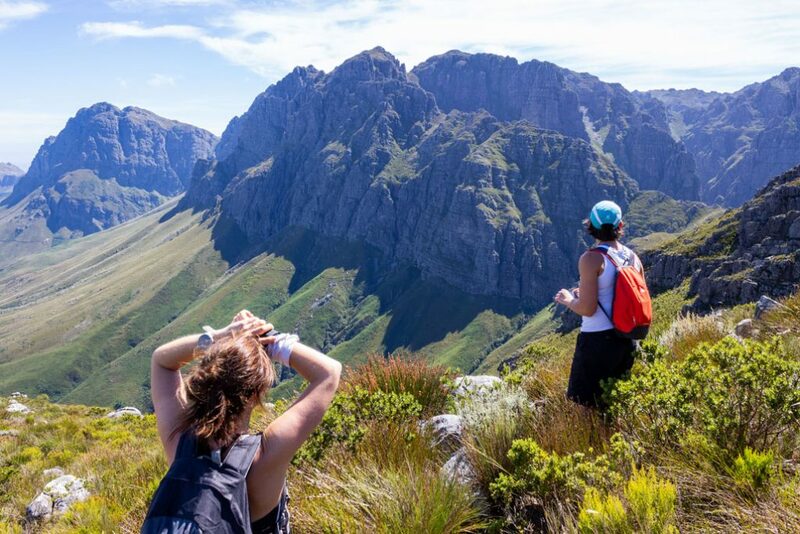 From here the views are truly breathtaking, with the Hottentots Holland Nature Reserve and Franschhoek to the east, the entire Jonkershoek Valley to the west and the dramatic spires of Banhoek Peak the Cathedral ahead as you start to descend toward Bergriviernek with its stunning views of Assegaaiboskloof. 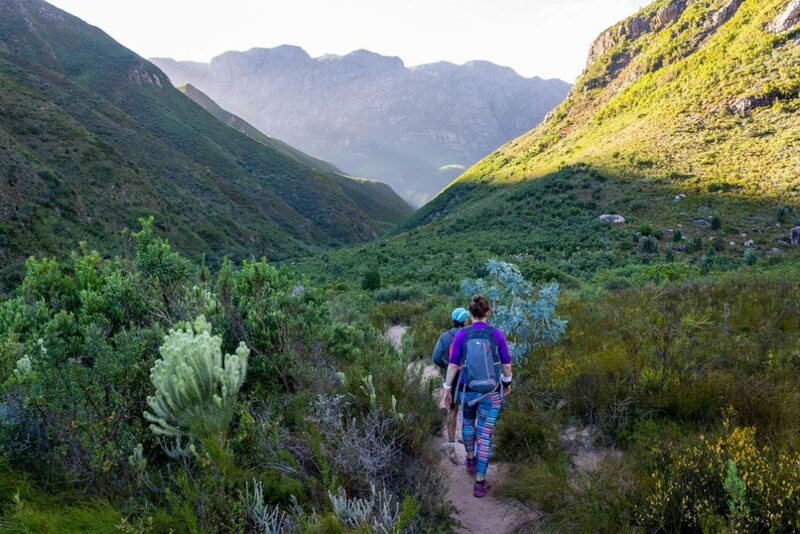 Once you’ve filled up your camera’s memory card with a million photos of Assegaaiboskloof, had a snack and just try to take it all in, you start the long, but still beautiful descent back to the parking area. The first bit is quite steep in places but eventually the gradient becomes gentler with constant views of the beautiful valley ahead of you. 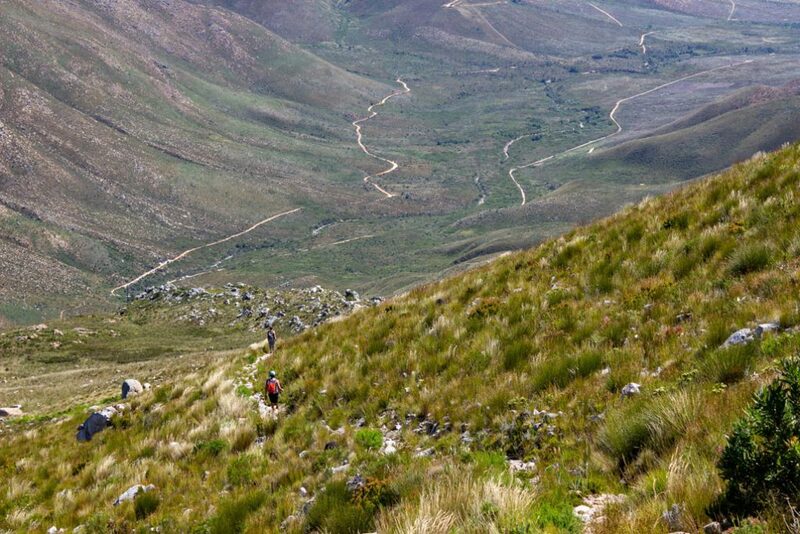 If you have squeaky knees, you might want to carry trekking poles for the descent. 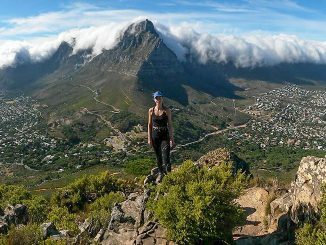 A truly brilliant trail with magnificent views! It’s not often that one gets to experience big mountains like this from the convenience of such a well laid out trail. 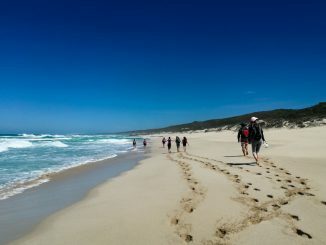 This is a must-do for any fit hiker. 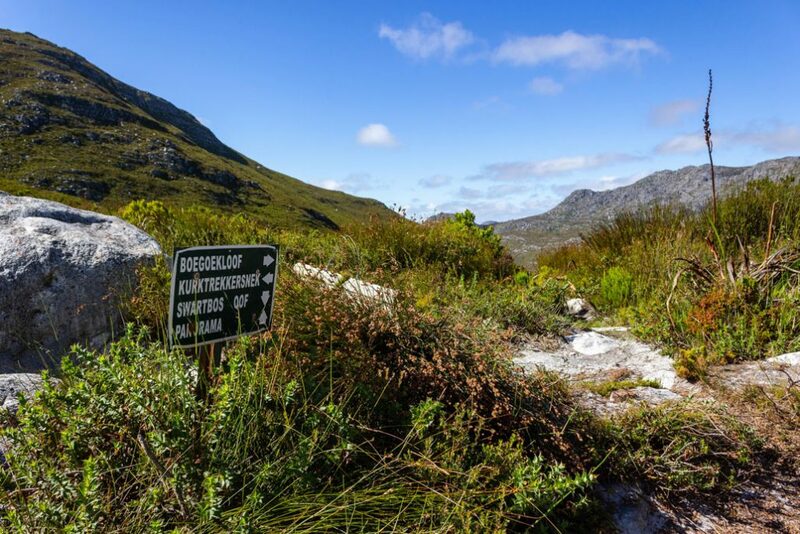 Permits are available at the entrance of Jonkershoek Nature Reserve. 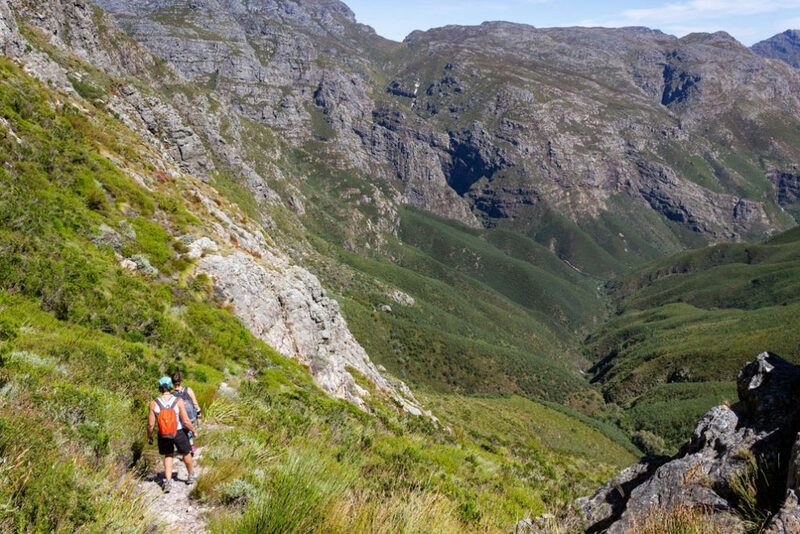 Click here to download the Jonkershoek brochure and map. Hi Arno, incredibly beautiful pictures, and a lovely description. Thank you! 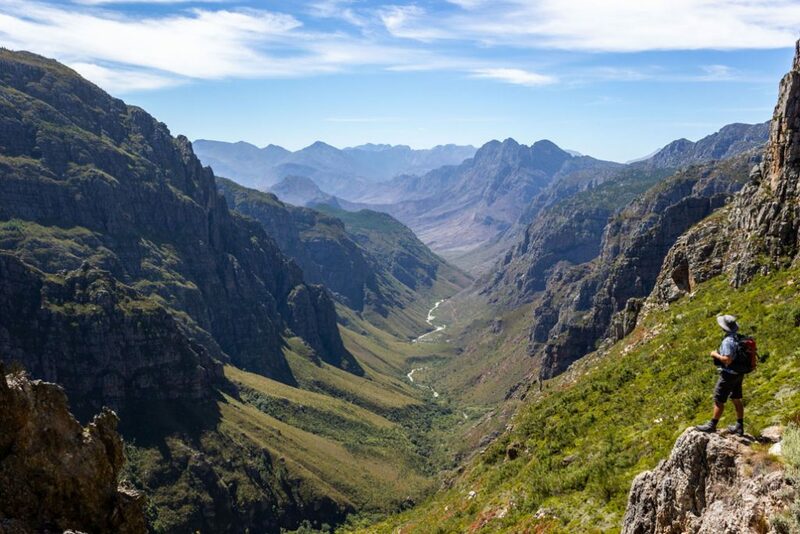 Can you clarify where exactly the split from the tweede waterval route happens? Is it to the right, where the path continues straight up through the trees? Also, is this the route one can take to get to Landdroskap hut and is the trail clearly marked? Thanks! 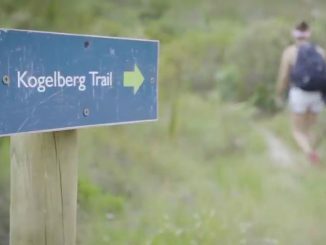 …and the Boegoekloof trail, from the top of Kurktrekkersnek, takes you to Landdroskop hut. As far as I can remember, the split is just before you start heading up to the waterfall. There is an earlier split that heads into a patch of forest and traverses off to the left, this is the not the way to Kurktrekkersnek. The gulley you ascend up to the nek is obvious. As long as make sure you take the left split, as opposed to the path to second waterfall, you’ll find it.